China's Wu Ashun claimed his third European Tour title at the KLM Open as England's Chris Wood three-putted the final green to finish second by a shot. 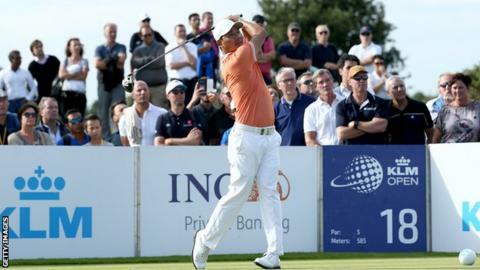 Belgium's Thomas Detry and Japan's Hideto Tanihara finished tied for third in the Netherlands. "Fantastic, an unbelievable week," world number 344 Wu told Sky Sports. "There was a lot of good golf played here, I like this golf course." Ireland's Padraig Harrington added to a second-placed finish at the Czech Masters at the end of August with fifth place at 13 under after a final-round 68.